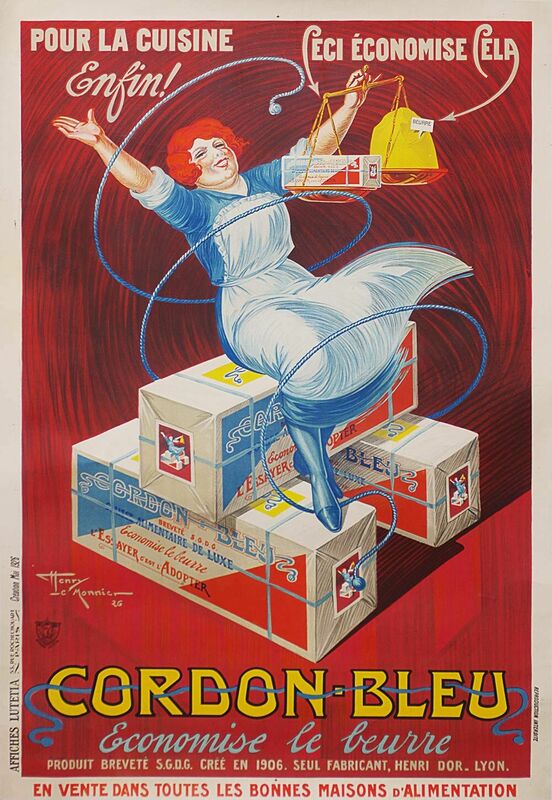 This classic French 1920’s poster jumps off the paper. LeMonnier was prolific, talented and produced some of the most memorable posters of the age. This butter lady will put a smile on your face for years to come.